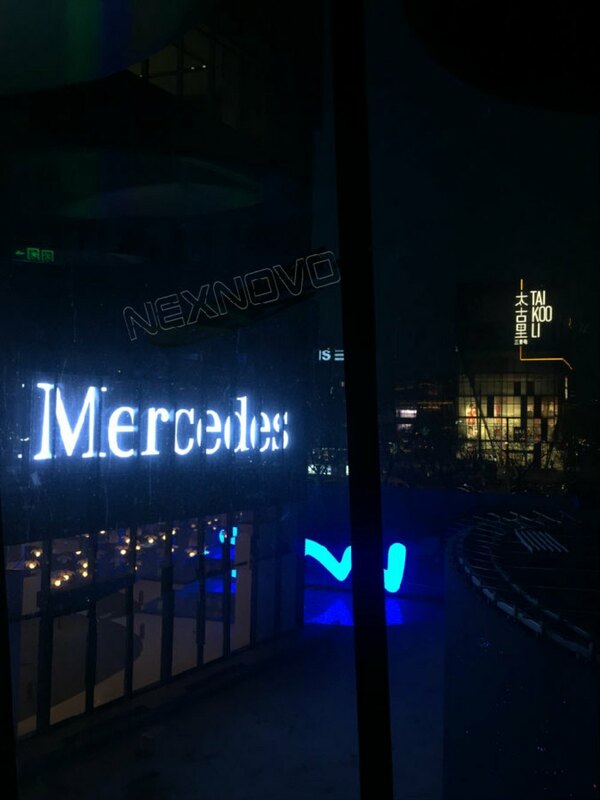 On the occasion of the130th anniversary of the Mercedes - Benz made the big move for the brand experience-Mercedes me.on April 23th gorgeous appearance fashion coordinate of Sanlitun in Beijing. 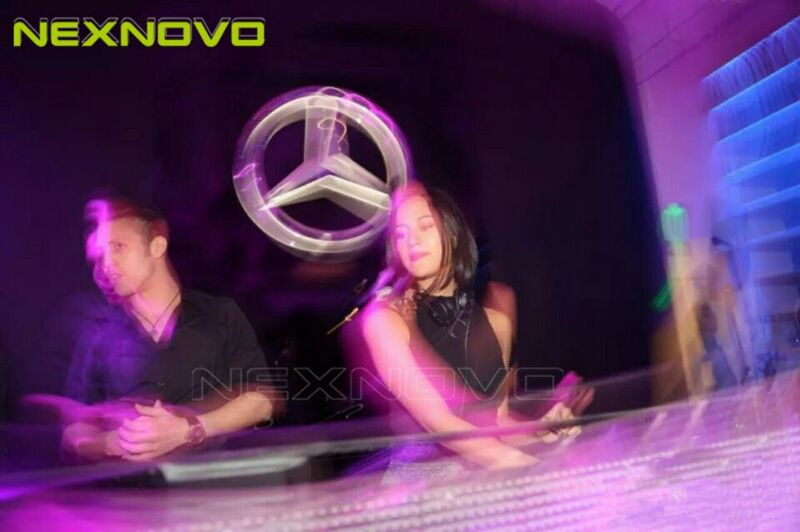 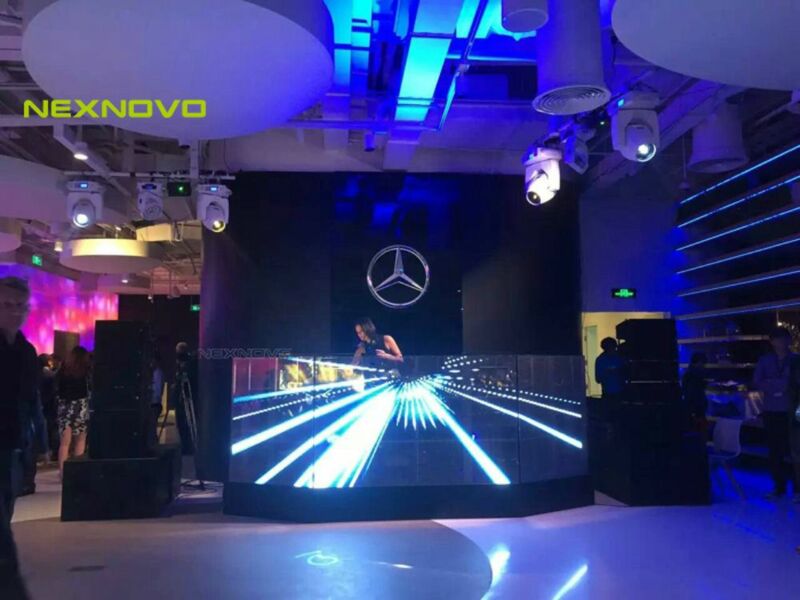 Mercedes-Benz as the world's largest store experience, Its set driving test ,riding test, presentation, gourmet coffee, Fashion shopping in one , such a high-end , fashion, depth of experience and imaginative Western style store, how can it be less NEXNOVO transparent led display elements? 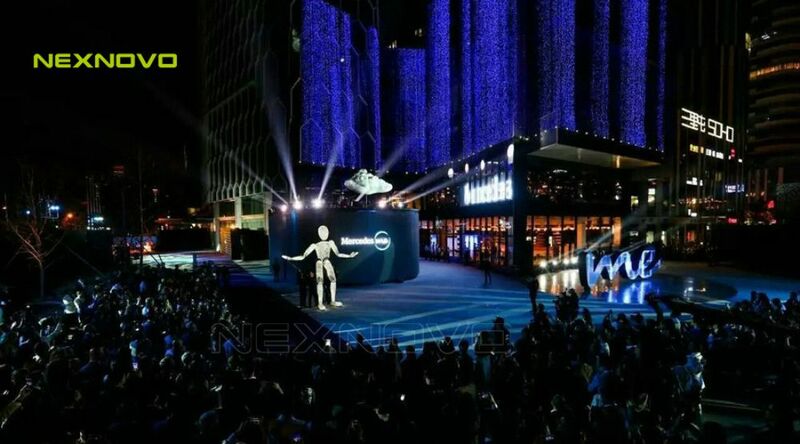 Which is the leading brand for fashion and technology.